New Orleans Saints tar quarterback Drew Brees recently returned to practice after missing two weeks with a strained oblique muscle. Brees was looking to make a statement when he made his 2014 preseason debut tonight (Sat., August 23, 2014) against the Indianapolis Colts. And Brees did not disappoint, coming out of the gates with one of the trademark offensive performance that he’s known for. He notched his first touchdown pass of the 2014 season by capping off a 13-play, 80-yard opening drive with a 3-yrd strike to fullback Austin Johnson. After Colts quarterback threw the Saints a counterpunch with a 21-yard score to tight end Coby Fleener, Brees took the field once again, leading the Saints to another 80-yard scoring drive, but this time it only took seven plays. Brees hooked up with veteran wide receiver Marques Colston on a 13-yard touchdown to finish the night a crisp 9 of 15 or 128 yards and two touchdowns, signifying that Brees is showing little ill effect from his injury. 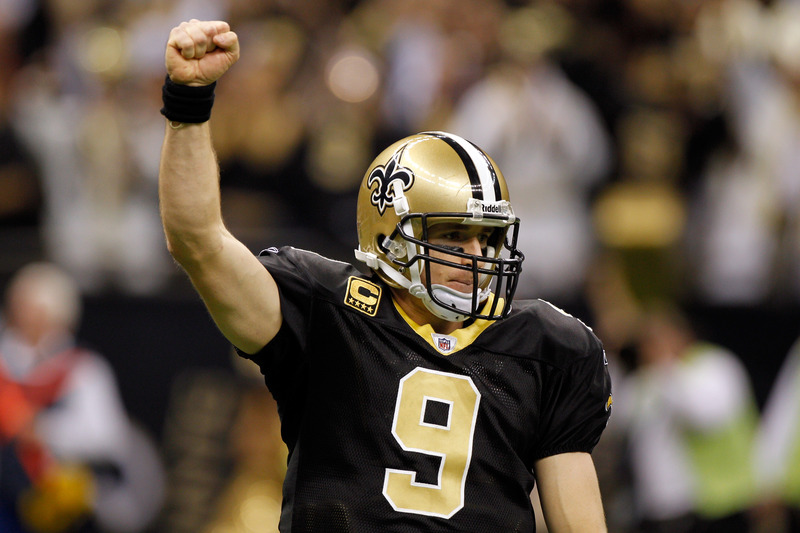 He’s poised to resume his role as one of the finest quarterbacks in the NFL, and with an arsenal of top-light weapons at his disposal, the Saints are lined up for yet another playoff season in 2014.